SKI Magazine Ski Testers Meet The Sundance Kid. 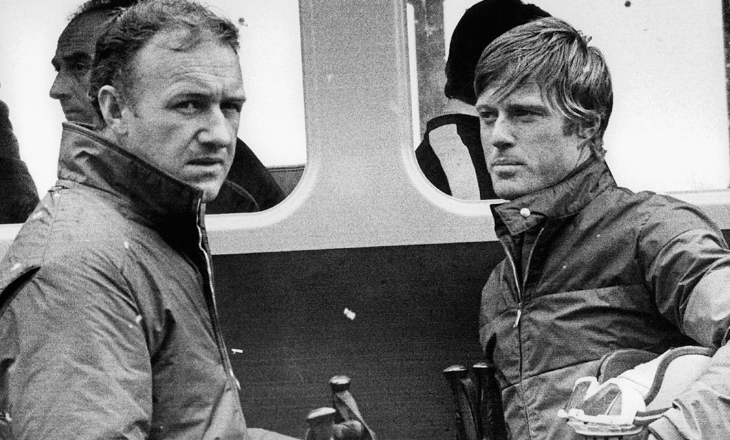 Gene Hackman and Robert Redford in “Downhill Racer” (1969). This heart throb really loved to ski. 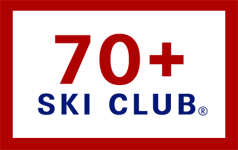 Back in the early ‘70s, SKI Magazine (remember it?) developed a program called SKIpp that stood for “ski performance prediction” developed by the late John Perryman. He was a talented engineer who spent years in aerospace and worked with Howard Head at Head Ski Company. SKIpp had two parts, the laboratory analysis that predicted how the ski would perform and on-snow testing. Each year we tested 200+ skis. John did the analysis and I ran the on-snow testing. Our testers were a mix of male and female skiers, primarily ski instructors with some racing experience. In March, 1974, we were at Park City which let us set up our testing tent near the base of the Shaft lift. Every morning, we tested ten pairs of skis. After lunch, each tester picked his favorite ski from the day or prior days and headed for the lifts. We had skis that weren’t on sale yet, some that wouldn’t make it to the market, some that should never been sold to skiers, and Redford hadn’t signed the liability waiver. All of this went out the tent flap when Redford walked into the tent. I tried to be my best cool, calm and collected Naval Aviator self, but the look on our wives’ faces was priceless – eyes and mouth wide open. Both were speechless that, if you knew them, was rare. His presence attracted the other three female testers who were nonchalantly trying to swap skis or ask Betty, John, or me a question just so they could get in the tent with Redford. He gave me a size that I don’t remember. 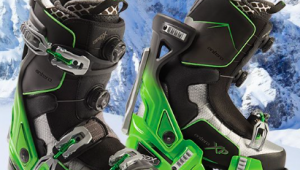 This was back in the days when boot sole shapes weren’t standardized, and we were using Market Rotomat rental bindings that took some fiddling to adjust. None of the easy-to-adjust bindings that we see today existed. To this day, Betty will tell you she talked to him for a few minutes but has no idea what she said or was she coherent. What we do remember was that Redford was as good-looking in person as he was on the screen. Oh, and one more thing. By the time he returned the skis, the word was out that Redford was around and a larger than usual crowd had gathered around the tent. None of us were smart enough to get him to autograph the test card he graciously filled out. Oh well!!! Mr. Liebman hello! What a great story for you to share. I would love to read more. You have also authored 4 novels. Would you please share some info about them? Thanks again for the great story. Actually, I’m up to six. They’re about the adventures of Josh Haman, a Navy helicopter pilot. The first, CHERUBS 2 takes place during Josh’s first tour in Vietnam and is about secret missions to the PRC. BIG MOTHER 40 is about his second tour flying combat search and rescue and special operations missions and they’re hunting for a secret missile base. Book three is RENDER HARMLESS and takes place in West Germany in 1976 when terrorists and Nazis want to create a Fourth Reich. It was followed by FORGOTTEN which is about six American POWs who get left behind at the end of the Vietnam War. INNER LOOK is about hunting spies in the Pentagon in 1986 after the arrest of John Walker who gave away the store on our submarines and cryptographic capabilities. MOSCOW AIRLIFT takes place in the Soviet Union in 1991 as it is coming apart. Soviet generals want to fund their retirement by selling tactical nukes to the Iranians. They’re all available in ebook and paper copies through Amazon, Barnes & Noble, my publisher – Penmore Press – or directly through me. If you want to know more, drop me a note. Redford showed up at Park City West one day while I was teaching there in 72? It was fascinating to see the reactions of the employees and guests. He had quite the following on the hill.